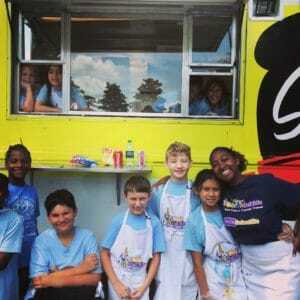 Club SciKidz Gastro Mobile Lab! New for 2018: Club Scikidz’ Gastro Mobile Food Truck! Learn the Chemical and Physical science behind our delicious food truck recipes. Design and open your own food truck! Learn culinary, business, and entrepreneurship skills. Best of all, campers will enjoy consuming their favorite creations! Don’t forget families are invited on fridays for Family Day!-Yum! Food truck Registration opens November 17th. Space is Limited! !